Drop Length: 24 1/2" What is drop length? 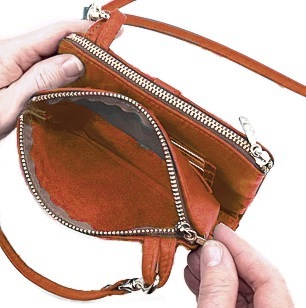 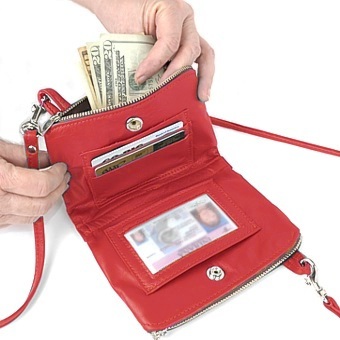 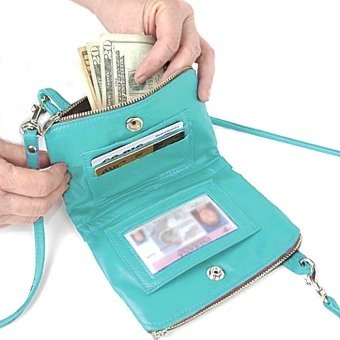 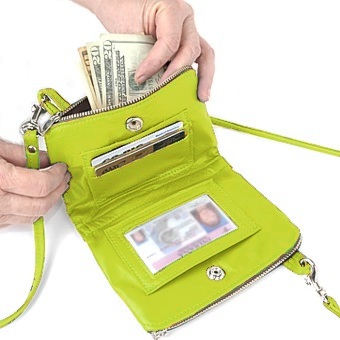 Do you sometimes think a wallet is too small but a purse is too big? Here's a great solution. 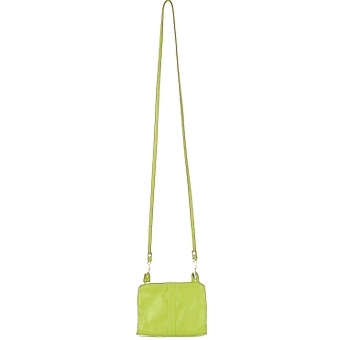 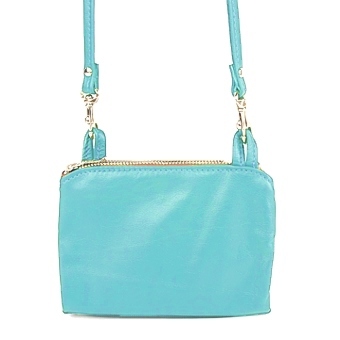 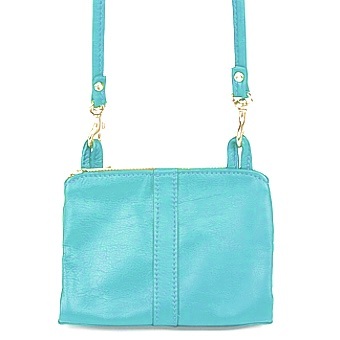 Our Zoey Wallet Bag gives you a way to carry essentials in one convenient place. 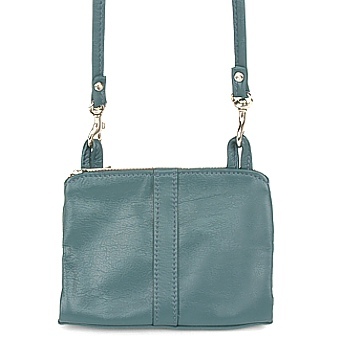 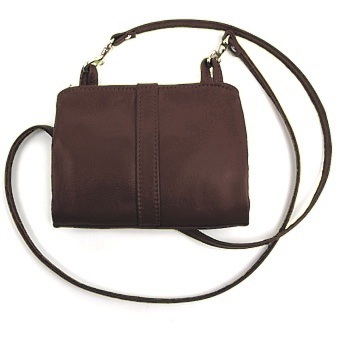 Made of high quality leather, the Zoey has a long strap which makes it wearable. If you want to opt for using this item as a wallet, just unhook the strap. 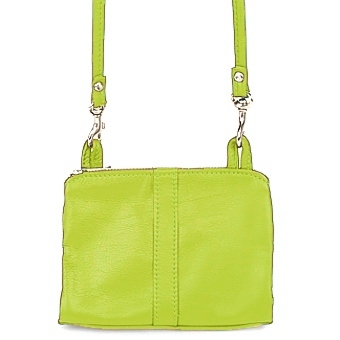 Other features include two seperate zippered compartments which can hold money or other items. 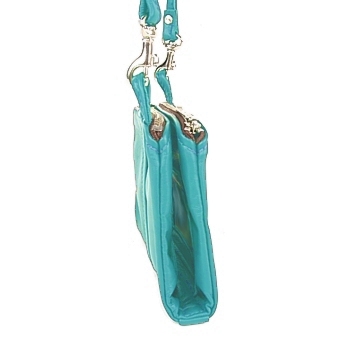 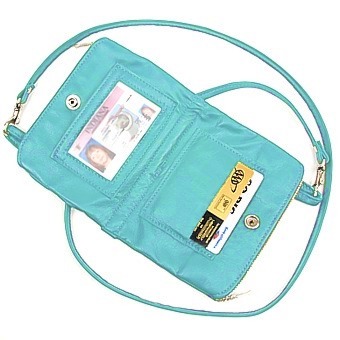 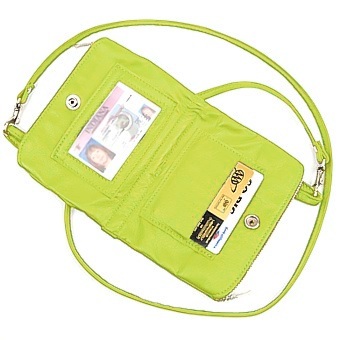 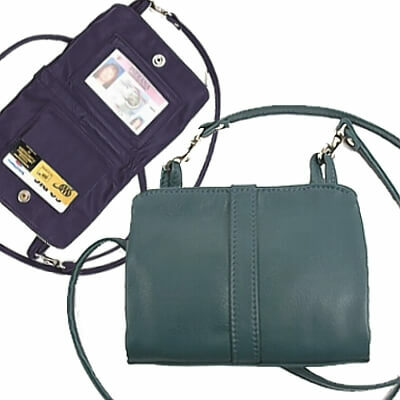 Open the bag up to 9 1/2" by 6" to access some card slots and a transparent ID holder. A sturdy snap keeps it all secure when closed.